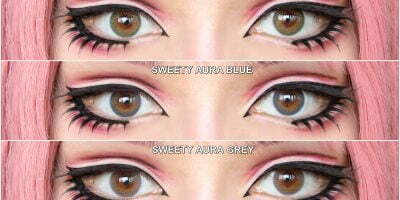 “I was really surprised by how scary good these lenses looked when paired with heavy eyeliner. I also tight lined my eyes which made the effect even better. They looked insane! :-D” . 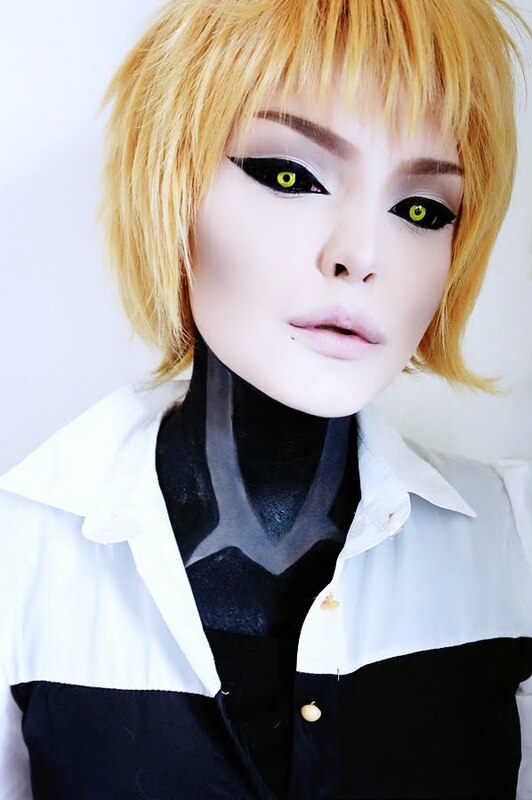 These One Punch Man/Hollow Man sclera lenses are pitch black with yellow iris. The contrast is stunningly sharp ; thus expect an overwhelmingly exciting impact. 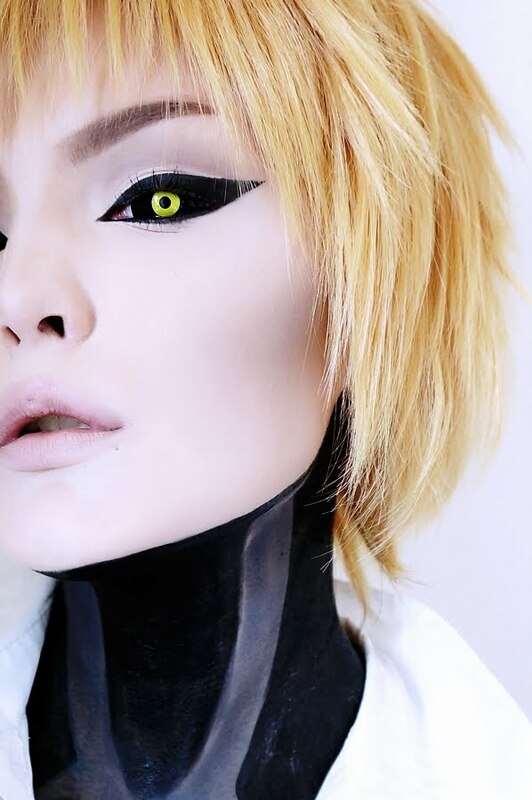 To create the Genos Cyborg look as shown in the pictures, you may need Kise Ryota cosplay wig. It is toffee blonde and short but decently covers your nape and ear lobes. This wig is made from heat resistant straight fibers but you can style it using synthetic wig wax or glue. It is good at holding the styles.